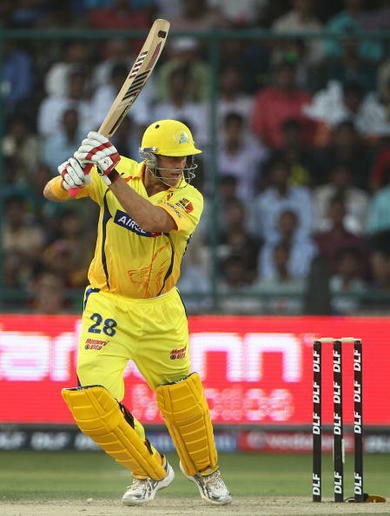 Rajasthan Royals 177 for 8 beat Chennai Super Kings 160 for 6 by 17 runs, for their fourth straight win. Hayden started of as if he had a flight to catch to Sydney. He perished after making 19 of 14, caught & bowled by Yusuf. Vijay made a brisk 42 of 28, carting Nariwal for sixers. He was run out by a direct throw from Yusuf, trying an impossible single. Raina was bowled for 14/12, trying to hit out a Warn leg spinner, from outside the off stump. 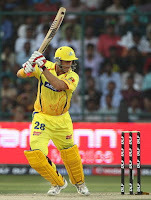 Dhoni who was as usual pacing the game well, was foolishly run out by his partner Badri. Badri has been instrumental in running out a partner in every match he has played. This must be some sort of a record. 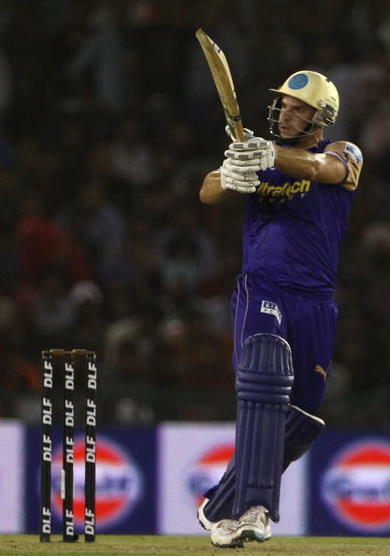 Albie Morkel made 28 of 12, before holing out to Faiz Fazal of Tait. Badri was caught by Yusuf of Tait for a scratchy 25 of 27. Tait bowled with fire claiming 2 of 22, Yusuf and Warne claimed a wicket each. Yusuf was instrumental in a catch, in a wicket and two run outs. What a utility cricketer to have in a T20 game. Chennai Kings have totally lost their way, and have to get back to the drawing Board. With the half way mark already past, it is almost impossible for them to get back anywhere near the top four. In such a situation, it would be advisable for Dhoni & Raina to sit out and be fit for WC T20.